Australia's Most Awarded Mercedes-Benz Retailer proudly presents this Certified low kilometre GLA250 4MATIC AMG-Line featuring Fully-Factory-Backed Warranty right through to June 2021! 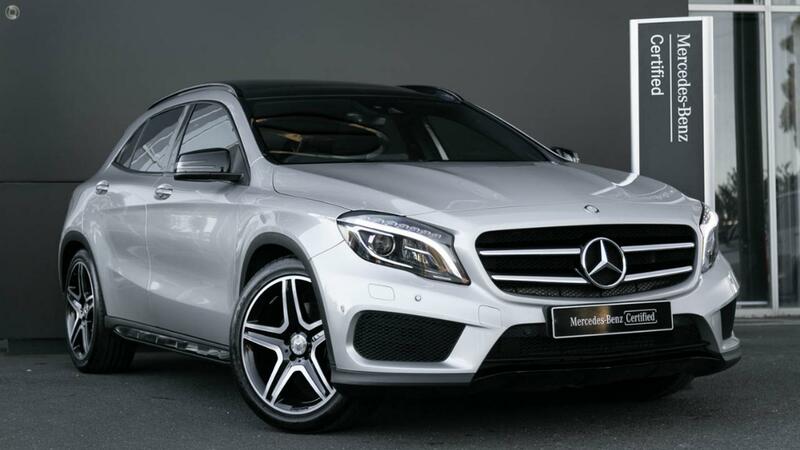 Highly specified and perfectly presented in pristine Polar Silver Metallic over Black AMG RED CUT Leather with Panoramic Electric Sunroof, KEYLESS-GO Comfort Package featuring HANDS-FREE ACCESS & KEYLESS-GO and Fully electrical Heated front seats with memory function. Take the wheel of your ideal GLA250 AMG-Line 4MATIC SUV with absolute confidence - ONLY from a Certified Mercedes-Benz expert and the reigning "Mercedes-Benz Metropolitan Retailer of the Year" again, for the 5th time in 6 years! - Suspension with Adaptive Damping system. - Two-pipe ext system with chrome tailpipes.